Though a payday lender group says the industry supports some regulation, consumer advocates worry that a measure intended to protect low-income Texans from predatory loans has been so watered down that it would allow unfair practices to continue. Efforts to increase the regulation of payday lenders in Texas could be in trouble, as consumer groups fight for stricter lending rules than those being proposed in legislation. Senate Bill 1247, by state Sen. John Carona, R-Dallas, would establish new regulatory guidelines for lenders that offer payday and auto title loans. Short term lenders, which offer small loans with high interest rates and expensive fees, have long been the subject of ire from critics who say the services target low-income borrowers and charge exorbitant prices. But the industry’s defenders say that the loans allows low-income borrowers financial flexibility. Among other things, Carona's proposal would limit the maximum size of loans to a percentage of the borrower's monthly income and cap the number of times a borrower could roll over outstanding loans. The initial version of the bill elicited measured praise from consumer groups. But that support has eroded amid concerns that the bill’s consumer protections have been watered down and that key provisions have been replaced by language favored by industry trade groups. “It’s been pretty touch-and-go for the past couple of weeks,” said Don Baylor, a senior policy analyst at the Center for Public Policy Priorities, an Austin-based liberal think tank, who is involved in negotiations to reinstate consumer protections in the measure. “CSAT has unfailingly supported efforts during this year’s legislative session to create a safety net for those borrowers who unfortunately fall chronically behind in their ability to repay their debts,” the statement said. In 2011, legislators increased state oversight of payday and auto-title lenders, requiring the businesses to be licensed and to clearly display a list of fees. During the current legislative session, lawmakers proposed additional regulations. Former House speaker, state Rep. Tom Craddick, R-Midland, filed a measure that would extend already existing rules for small loans to the auto title and payday lending business. Most of payday lending bills, so far, have been left pending in committee, but SB 1247 has received the lion’s share of attention from both reformers and the industry. Last week, a new version of the bill appeared that consumer advocates argue weakened many of the consumer protections. In the original bill, a payday loan taken on within five days of a previous loan was considered refinancing – a rule intended to prevent borrowers from rolling over their loans ad infinitum, paying more fees and interest. Consumer activists wanted a period of seven days, but the revised bill would reduce the required gap to two days. In the original bill, the size of some payday loans was capped at 15 percent of monthly income for those making less than $28,000 a year, and 20 percent for those making more. In the new version of the bill, those limits are set at 30 percent and 40 percent, respectively. Baylor said the new monthly limits simply explicitly allow current practices. Complicating matters, the new state regulations would trump city ordinances that regulate short-term lending. Since 2011, several Texas cities, including Austin, Dallas, San Antonio and El Paso, have passed regulations that are more restrictive than the current version of SB 1247. 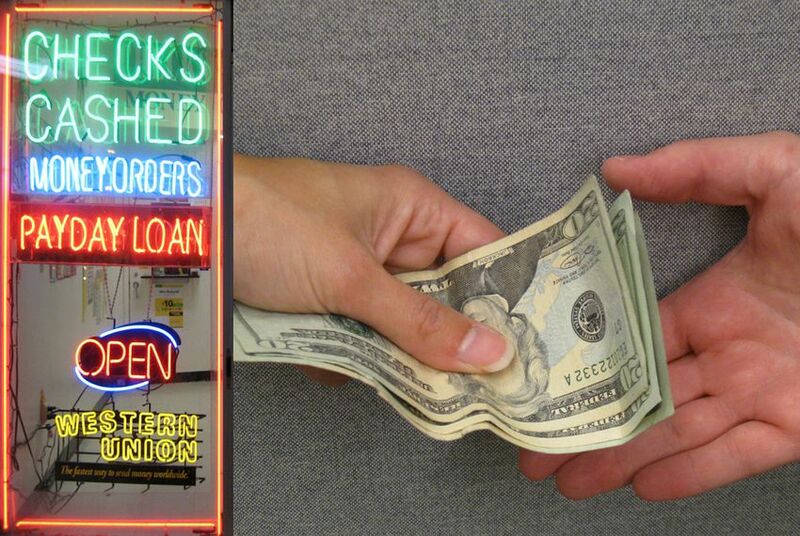 If the bill passes, restrictions on payday lending would be relaxed in such areas. San Antonio City Councilman Diego Bernal testified against the bill on March 19. He told the Senate Business and Commerce Committee that the bill would “significantly weaken” the city’s regulatory structure. Despite concerns over the new version of the bill, consumer advocates praised Carona. The payday lending industry wields a large amount of political influence in the Legislature, having donated more than $2 million during the 2012 election cycle, including more than $300,000 to House Speaker Joe Straus, according to the political watchdog group Texans for Public Justice. But alterations to the bill could cost the support of legislators who seek reform. The bill’s House sponsor, Rep. Mike Villareal, D-San Antonio, testified at the March 19 committee hearing that he didn’t believe the new version would provide adequate protection for consumers. The Senate Business and Commerce Committee could vote on the bill as soon as next week.